Access Communications will replace Tall Grass PR as AOR on the account. SAN FRANCISCO: DocuSign, a company that helps people sign documents digitally, has selected Access Communications as its North American AOR. Access was chosen after a formal, three-phase RFP that started in November and ended last week. The request was initially sent out to 20 PR firms, 17 of which responded. Four firms presented in the final round. The work officially started on Friday. Gregor Perotto, DocuSign’s senior director for corporate and marketing communications, did not disclose what firms participated in the process. Access is supporting DocuSign with strategic PR, media relations, and analyst relations programs. In addition, the firm will aid the company with thought leadership and social media. A mix of seven members of Access’ team, based in the firm’s New York and San Francisco offices, are working on the account. 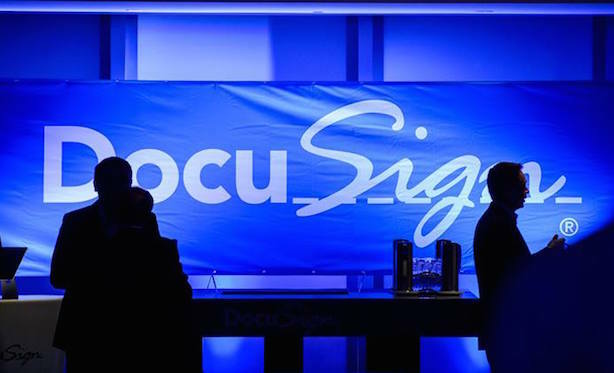 "The core objective is to ensure DocuSign is seen as critical to what every business is undergoing in terms of digital transaction transformation," said Brian Regan, SVP and GM of Access’ New York office. Initially, the firm is helping the company with PR for its user conference DocuSign Momentum, which will take place March 10-12. "We wanted a strong agency team that demonstrated strategic thinking and one that had strong media relationships," said Perotto. "The relationship is also a great cultural fit; we wanted people as passionate about their business and our business as we are about our business." Access is contracted to work with DocuSign for six months, but Perotto explained the company is looking to renew it following a successful relationship and delivered results. Access and DocuSign did not have a previous relationship. Budget information for the account was not disclosed. For the last three years, Tall Grass PR has served as DocuSign’s North American AOR. The firm will continue to work with DocuSign for the next two months in a transition period. "The reason we are changing our North American AOR is because we have reached the next phase of our evolution and growth," said Perotto. "Tall Grass is a strong boutique agency that helped us get to where we are now, and we will be leveraging Access to help take us on the next part of our journey." A representative from Tall Grass was not immediately available for comment. DocuSign works with Chameleon PR in the UK, L’agence RP in France, Fuel Communications in Australia, and RMA Comunicação in Brazil. Last month, Microsoft veteran Brad Brooks joined the company as CMO. DocuSign CFO Mike Dinsdale told media outlets last year that the company is planning an IPO in 2015.